Brewer Description: (from bottle) We’ve taken barrel aging to a whole new level by aging shaved coconut, almonds, and Blue Copper’s Colombian coffee beans in whiskey barrels, while our Imperial Stout ages separately in both rum and whiskey barrels. 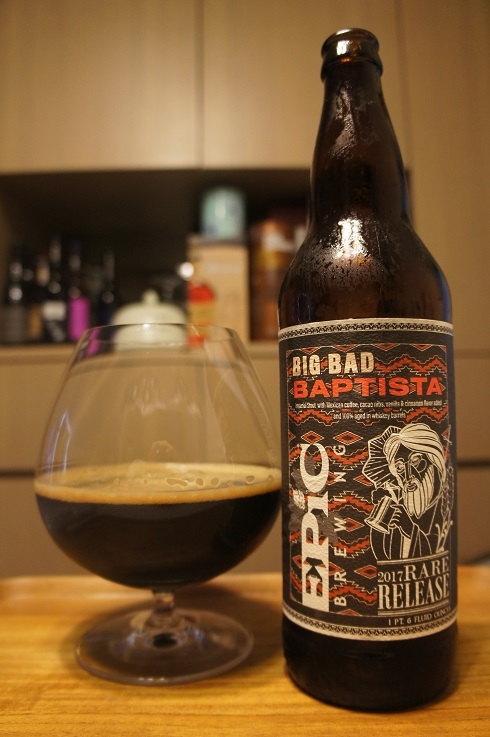 Then our brewers hand-blend each batch creating the most complex and outrageous version of Big Bad Baptist we have ever made. Intro: A 22 fl. oz. bomber, 2018 release, release #9. Poured into a snifter glass. Appearance: Black in colour with an almost one finger brown head that had decent retention, eventually dissipated to a thin layer and left some nice spotty lacing. 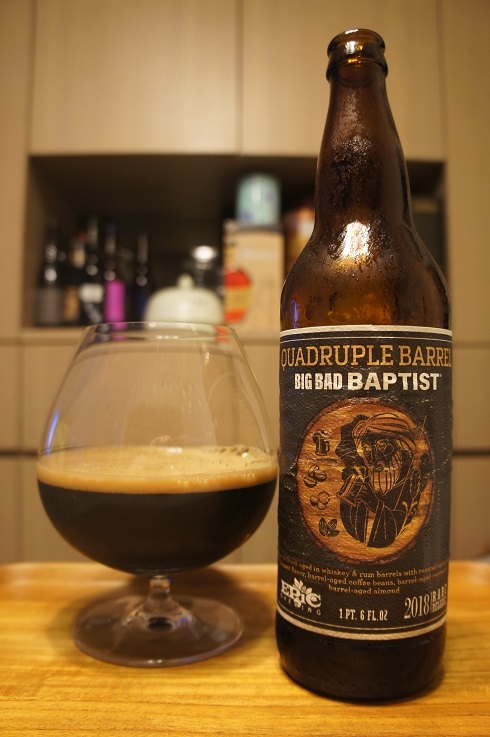 Aroma: Coffee, chocolate, cocoa nibs, brown sugar, vanilla, whiskey, rum, oak, light roast and a hint of toasted coconut. 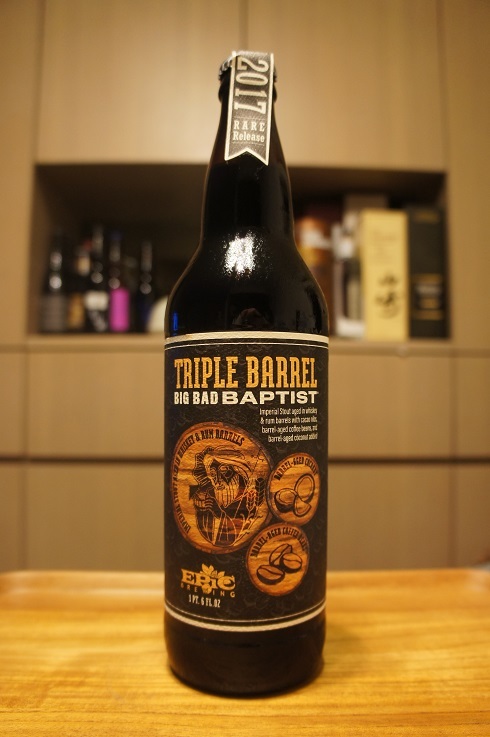 Taste: Moderate sweetness, rich chocolate, coffee, brown sugar, cocoa nibs, nuttiness, almond, coconut, whiskey, rum, oak, with hints of dark fruit. 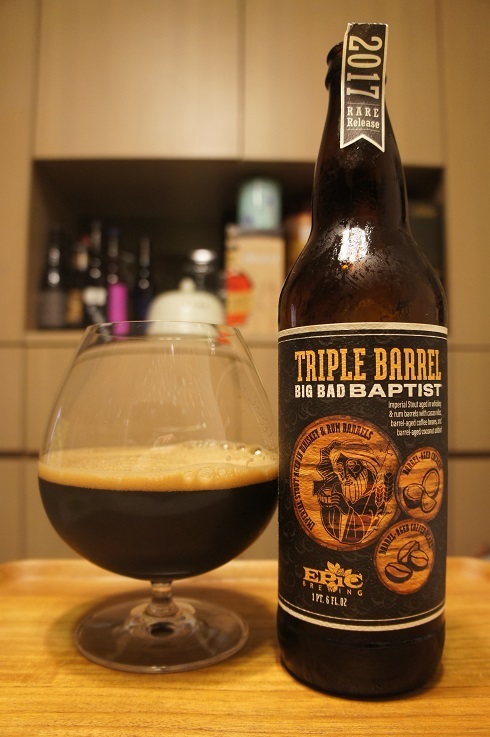 Overall: Enjoyable, but not quite as good as the original BBB or the Triple Barrel BBB. 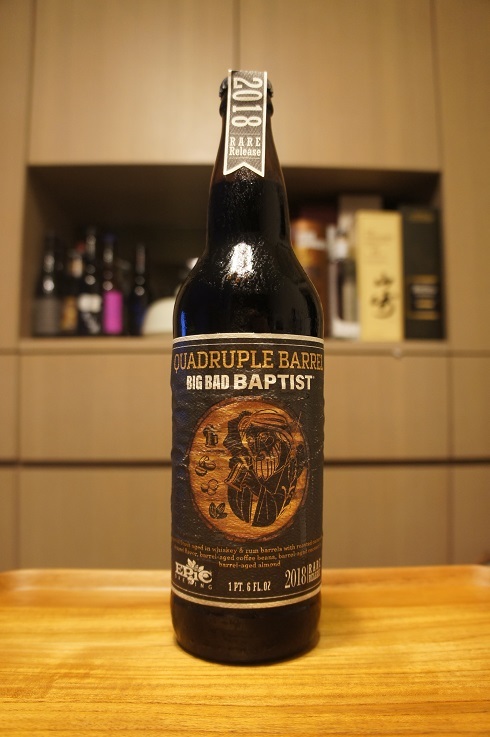 Brewer Description: (from bottle) Inspired by the spicy and bold flavors of a Café de Olla we added Vanilla and Cinnamon along with Mexican Coffee beans and cacao nibs to our 100% Barrel-aged Big Bad Baptist. The result is luxurious, complex, and the perfect after-dinner companion on chilly evenings. Intro: A 22 fl. oz. bomber, release #8, bottled on 9th November 2017. Poured into a snifter glass. Appearance: Dark dark brown in colour with a thin dark tanned head that had decent retention while leaving some nice spotty lacing. Aroma: Roasted malts, coffee, almond, cinnamon, oak, with hints of chocolate and whiskey. 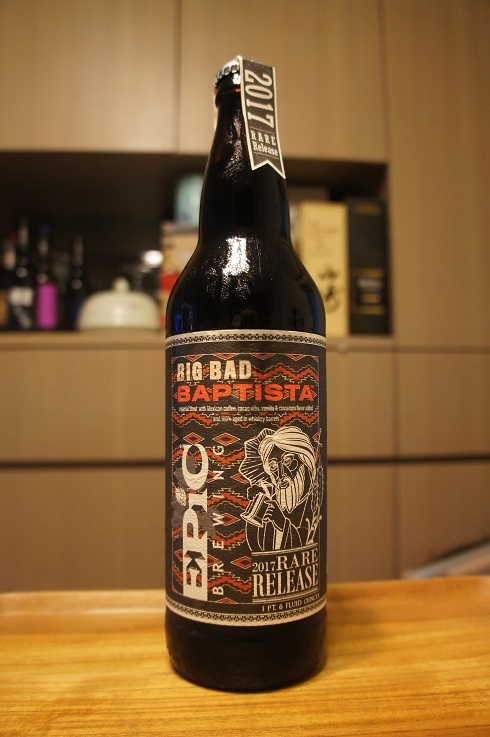 Taste: Roasted malts, chocolate, coffee, oak, moderate sweetness, whiskey, cinnamon and very light chili spice. Overall: Nice and enjoyable. A good sipper, although spice could be stronger. Brewer Description: (from can) Take the beach with you anytime, anywhere, and skip the LIMES. We’ve already done the work for you. 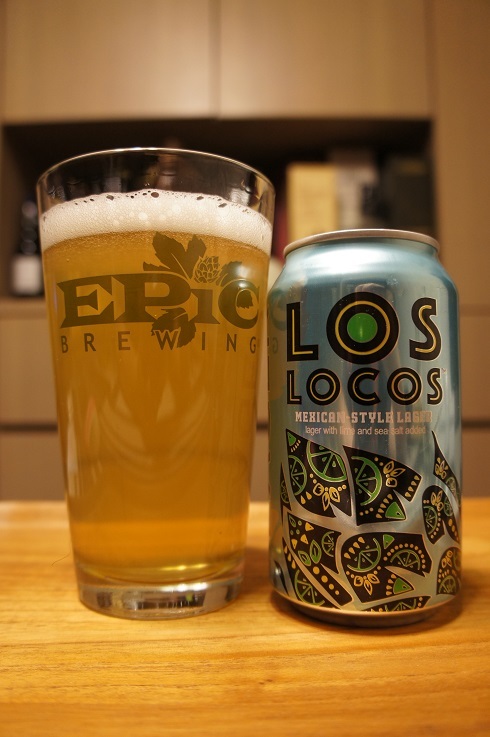 A squeeze of natural lime juice and a touch of sea salt make this Mexican-Style Lager bright, a little tart, and perfectly refreshing. Intro: A 12 fl. oz. can with no canned on or best before date. The only thing I see is on the bottom of the can “5507, up in smoke”. Poured into an Epic pint glass. Appearance: A very lightly hazy, golden straw pale yellow colour with a just less than one finger white head that dissipated fairly quickly while leaving only sparse lacing. Aroma: Sweet malt, corn and a dash of lime. 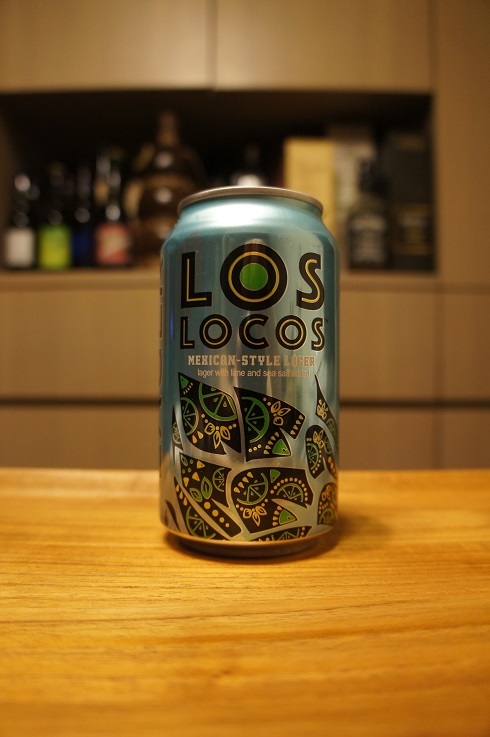 Taste: Lightly tart, sweet malts, lime, corn and a hint of salt. Overall: Light and easy to drink. Another good hot summer thirst quencher. 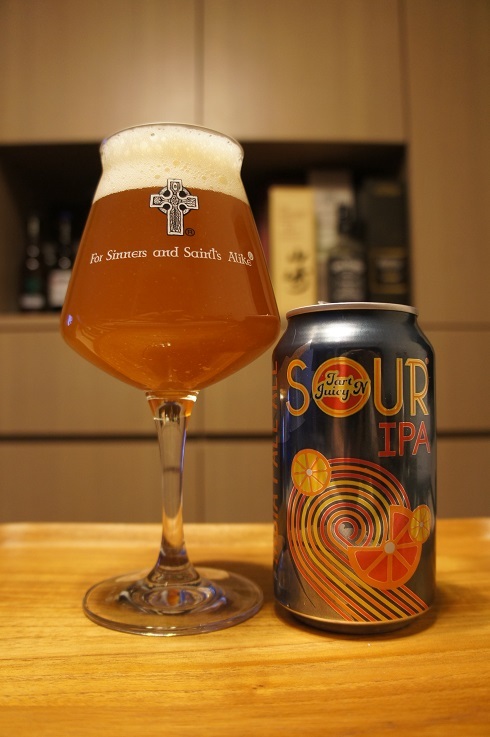 Brewer Description: (from can) We’ve combined the clean, puckering tartness of kettle souring with an abundance of juicy, citrus-driven hops to create a beer that’s the best of both world’s – Tart N’ Juicy Sour IPA. Intro: A 12 fl. oz. can, with no canned on or best before date “welcome to the party pal”. Poured into a Lost Abbey teku glass. Appearance: A hazy dark orange copper colour with a two finger off white head that had decent retention and left some nice lacing. Aroma: Tart-ish, tropical juiciness, jammy, fruit compote, lychee, apricot and peach with hints of mango and orange. Taste: Tart, lightly sour, apricot, apricot compote, half ripe mango and only hints of citrus fruit. Overall: Nice and drinks easy. 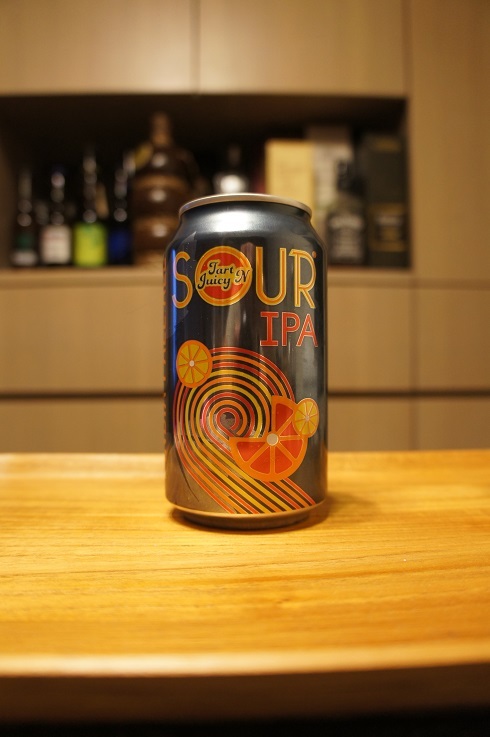 Could be even more sour considering it has the name ‘sour’ in it, but the tropicalness is refreshing.